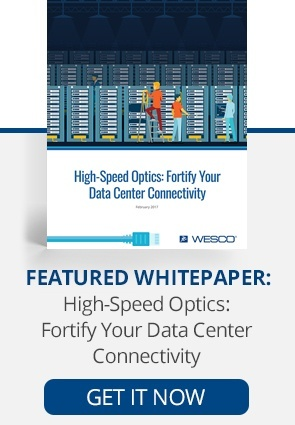 Are High-Speed Optics Right for Your Data Center? Today’s data centers come in all forms, from large hyperscale data centers and collocation facilities, to small datacom closets. While the needs of data center managers are varied, numerous and frequently changing, there is one constant — expanding network needs drive bandwidth and speed requirements, and a data center must be able to accommodate. High-speed optics can help meet the increasing demand. In recent years, hyperscale data centers have pushed the boundaries of network design to support the highly virtualized and scaled-out applications of the modern age. This means the physical layout of structured cabling systems and point-to-point connections between switches and servers are of critical importance. For several years, data centers have primarily relied on multiple 1G and 10G links from servers to top-of-rack (ToR) switches. Lately we’ve started to see deployments of 100G Ethernet in larger data centers. This suggests that we’ll soon see upgrades for server-to-switch connections upgraded from 10G to 25G and, as a result, switch-to-switch connections will be upgraded from 40G to 100G. 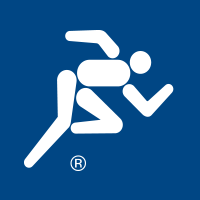 In coming years, the demand for higher speeds will continue to increase. The Ethernet Alliance predicts that we’ll start to see base rates between 50G and 200G Ethernet over the next four years, with 400G and 800G/sec transmission speeds following behind within the decade. Optical transceivers and active optical cables now play a major role in helping data center managers stay prepared for current and future bandwidth and speed requirements. Optical transceivers provide a connection between the networking equipment and the cabling infrastructure. They are swappable, pluggable modules that transmit laser signals at a high-speed rate. On the other end, a transceiver uses a photodetector to detect the light and convert it to an electrical output via integrated circuits. Because transceivers emit, detect and convert the light signal, they allow for greater flexibility in the design of switches and server chasses. Transceiver usage supports the more modular approach required in today’s evolving data center infrastructure. Similarly, active optical cables (AOCs) are gaining popularity. An AOC is a simple, plug-and-play solution that requires no optical interface, without any connectors to clean. AOCs are pre-engineered to deliver the required electrical data rate. They improve signal integrity, provide more reliable performance with lower latency, and consume less power. The overall simplicity and cost savings of AOCs are each major points of consideration for data center operators. Due to these profound shifts in the industry, optical transceivers and active optical cables will continue to play an increasingly important role in the overall data center landscape. They provide the key link between networking equipment and cabling infrastructure. Modern optical transceiver technology allows data center managers to reuse existing multimode fiber plants from 1G up to 10G and 40G on OM3 and OM4 fiber cabling. SWDM transceiver technology enables 40G and 100G to be transmitted on duplex OM5 multimode fiber. This capability can provide peace of mind during a turbulent era of increased need.